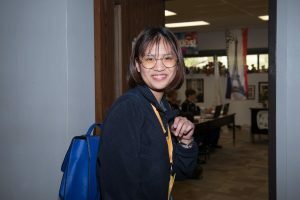 Author Zara Gao is a senior from China. Knowing another language is very interesting. A lot of people who speak only one language are very curious about what language those people who are bilingual think in. I have been in America for six years now, and I can say that I speak English fluently. I want to answer this question for everyone today. I was not raised in a bilingual home. I started learning English in kindergarten. Before I came to America, I had already learned English for more than six years. But when I first used English as a language everywhere in life, I felt my English was horrible. When we try to learn another language, we always learn both the vocabulary and grammar. We do not need that much grammar for talking in daily life. Indeed, we need to know more words because we cannot describe things without knowing their names. English is used in many countries, and each one may have different words for the same thing. For people who are not from an English speaking country, it is hard to find out the accurate names. For example, before I came to America, I always referred to “cookies” as “biscuits” until I found out that “biscuits” in the U.S. are like bread for breakfast. I also had to learn the difference between football and soccer. I think the best way to learn another language is to use it and get into a place where that language is spoken. Zara in her dorm room during her sophomore year. The most essential part that makes learning another language so hard is that people do not like to speak to others. I was timid when I first came to America because for me everything was strange. I had never been a boarder before, and I came to America at age 12. Afraid of not understanding most things that others are talking about, I also faced many new life challenges. So, I needed much help from older students and dorm staff to force me to speak English and practice it every single day. After about half of the semester, I could understand every word when others are talking. Still, I did not have good speaking skills, and I forgot the names of things when I talk about them, so others did not understand me most of the time. But all we can do for learning another language is to keep practicing, so did I. After the first year, my English improved so much. 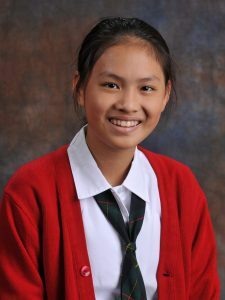 Zara when she first started school at SMA as a seventh grader. Now, after six years of speaking another language, I think I can say I can speak English. Being a bilingual person is so fun because I get to understand two of the most common languages in the world. I do not need a translator to read an English book, watch TV shows, or enjoy social media. And I can use language to make friends. In the first two years, I was so shy, I did not talk to many people, but now I like talking to people in English or Chinese. We can have more friends by using our language skills. What language do I think in when I talk? My answer is “it depends.” If I talk to people who do not know English, I only think in Chinese. For instance, when I talk to my relatives at home, I do not think any English because otherwise they do not understand some words I might accidentally use in English. When talking to people like me, Chinese international students, I can think of both languages at the same time because they can understand both and translate back and forth easily. For instance, I can ask them “when does this” in Chinese and “assignment due” in English because we cannot have the Chinese name of “assignment due” in our mind immediately after we have been using English at school. When I talk to people who speak English, I only think in English because it takes too much time to make translations in my head. So, thinking in English makes it much easier. I do not know if my answer and my experience as a bilingual person and how to study another language will help you. But I highly recommend that everyone try to learn another language because it is really fun! Languages are bridges which connect every single person on the planet, so if you want some connections you should go out, talk much, and do not be shy! Sabre: It’s Time to Shop at SMA!